National Organisation for Social Empowerment (NOFSE) is a registered NGO working for the differently abled and underprivileged of our community. We are a group of dreamers with a collective vision; ‘Inclusiveness’. We believe that a world without barriers should not be a luxury but a right. We are doing our bit to ensure that disability does not entail disadvantage. At National NGO we are working to advance the rights of persons with disabilities (PWDs) in our society and in the larger scheme of national development, through micro level social intervention. Established in 2012, National NGO has been continually working for social integration of persons with disability. Although we work with a small set of people, we go all the way in supporting them to become self-sufficient. Through these years, we have assumed the role of facilitators, counselors, friends and teachers amongst others. We have shared their dreams and aided many in becoming a valuable part of the infinite richness of diversity that is our nation. Our primary areas of intervention are: Healthcare, Education, Food Security, and Empowerment. Our Healthcare programme is designed as a two-pronged approach towards ensuring a better quality of life for the marginalized sections of our community. As part of the advocacy initiative of this programme, we organize awareness campaigns, workshops etc., besides acting as intermediaries of resources between the needy and the privileged. We also run a rehabilitation center in Tughlakabad which acts as a shelter to many differently abled and underprivileged children from neighboring areas. Their success stories are a testimony of our work and they are our inspiration (Click here to read more). Our Food Security programme is designed to ensure that food and ration are accessible to the lowest strata of the society as a basic right. We conduct regular food donation camps across the city and become even more active during disaster relief (click here to know more). National NGO’s work in the area of Education and Empowerment is complementary to each other. We believe in empowerment through education and so our projects are designed bearing in mind the impact right education can have on one’s life. We provide free education for underprivileged children in various areas spanning the city and we are doing our bit in making education more accessible to the differently abled and those with special needs. Your share could be as good as a donation for Anju! Not everyone can afford to take care of their loved ones. 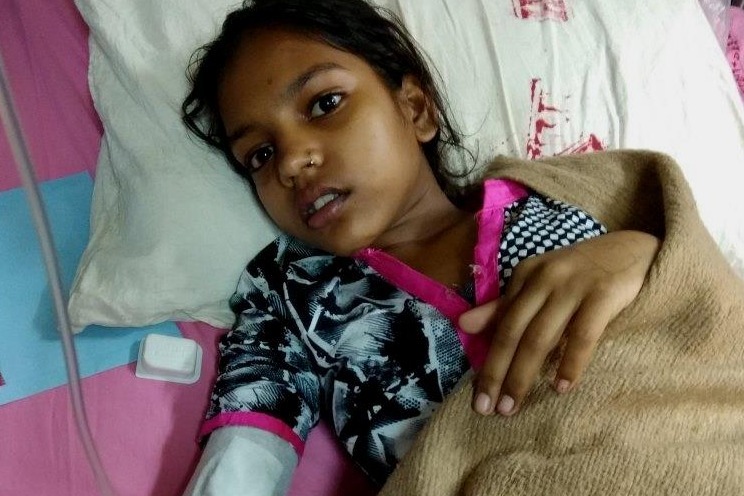 Anju's life can only be saved by donations made by kind people like you.